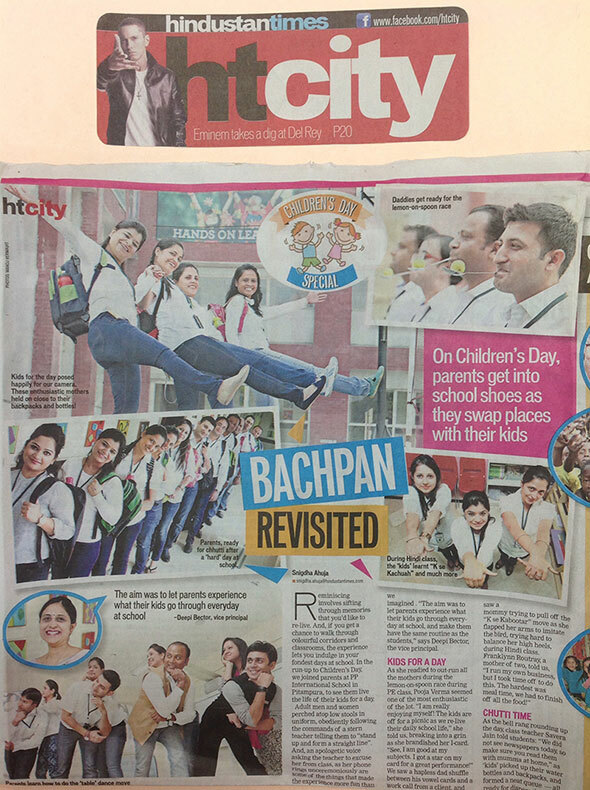 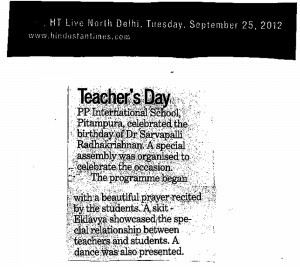 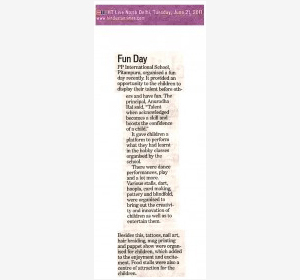 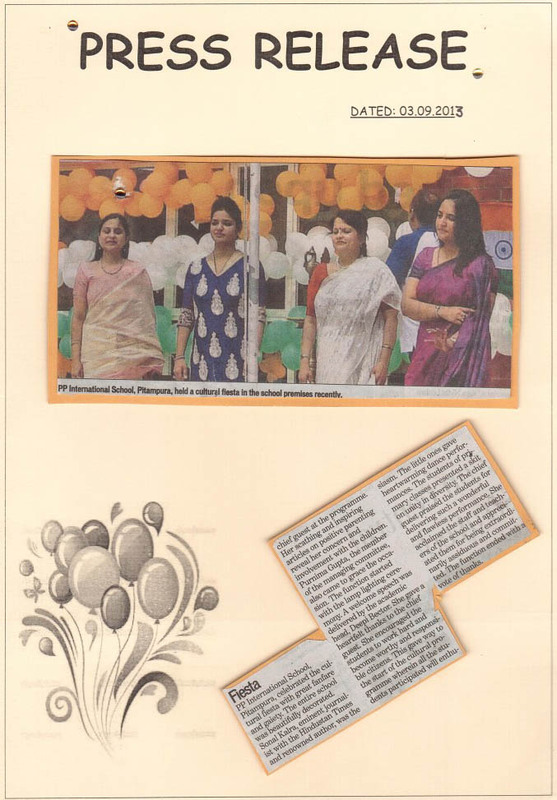 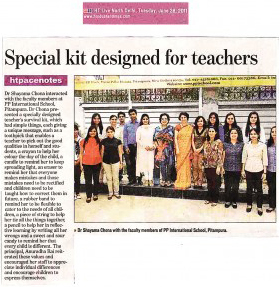 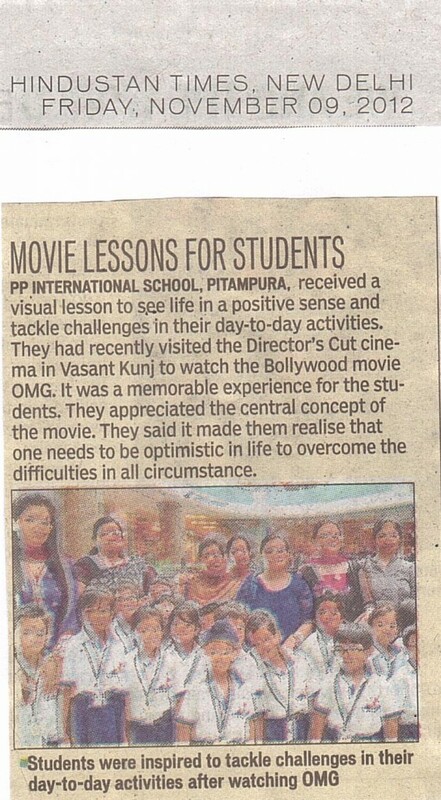 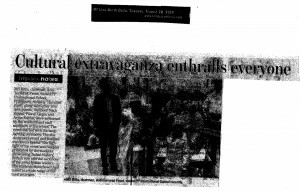 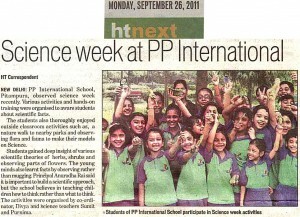 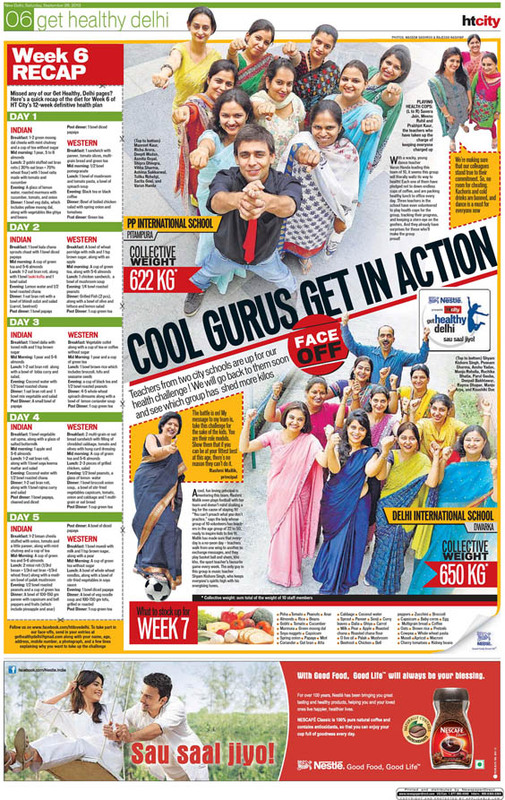 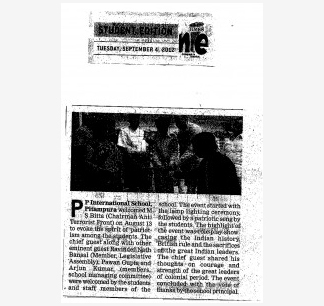 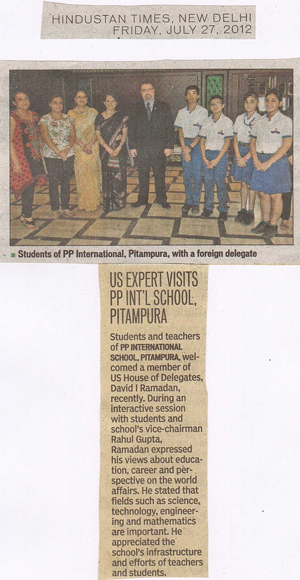 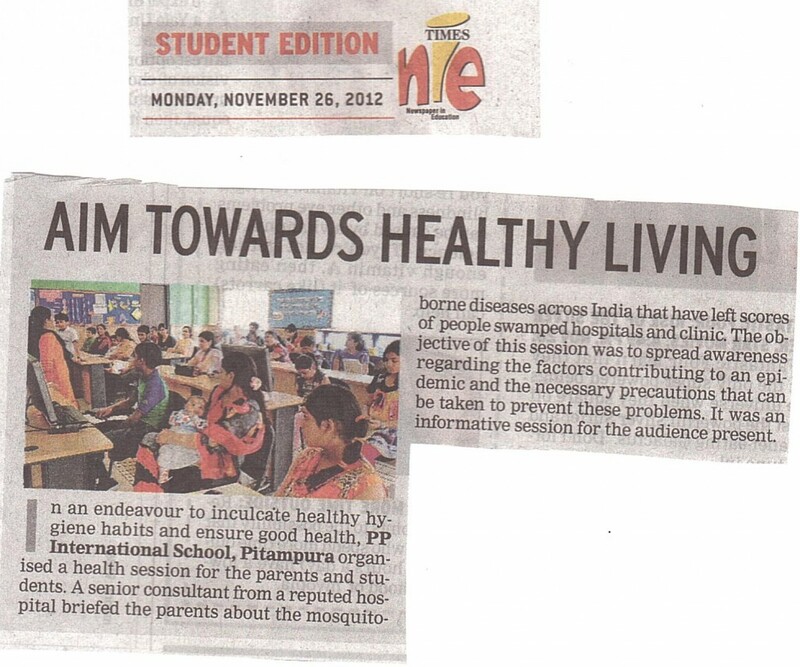 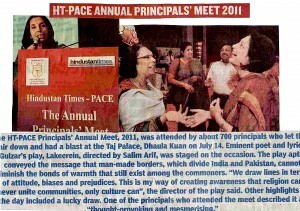 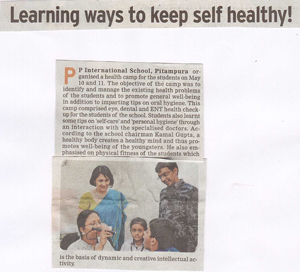 Times of India (29th April, 2015) featuring the coverage of P.P International School's Orientation Day 2015-16. 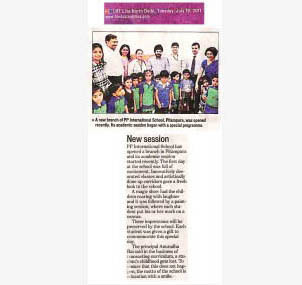 Times of India (24th February, 2015) featuring the coverage of P.P International School's Annual Sports Fiesta 2014-15. 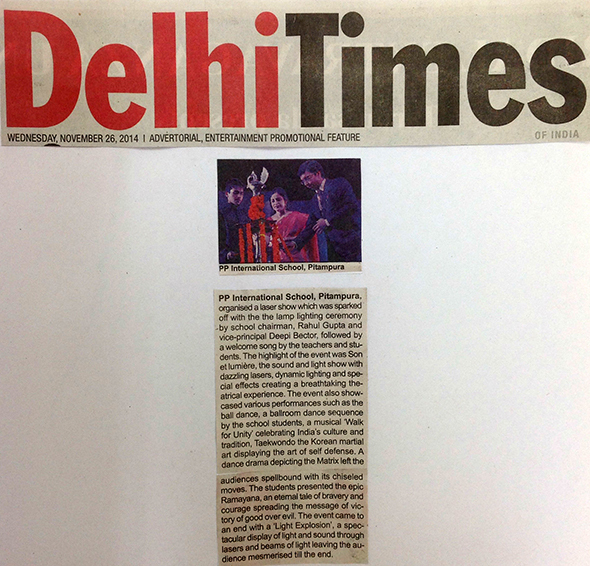 Delhi Times (26th November, 2014) featuring the coverage of Son et lumière (Sound and light show) with dazzling lasers for Diwali celebration at P.P International School.